Planning is already underway for USITT 2020 in Houston, Tx! The Lone Star state will welcome USITT and its attendees to the George R. Brown Convention Center April 1-4, 2020. To add even more excitement to an already massive event, we will be celebrating the 60th Anniversary of the Institute in tandem with USITT 2020. This is not Houston’s first rodeo when it comes to the Annual Conference & Stage Expo. We brought our Conference to Houston in 2008 and we’re now returning 11 years later. 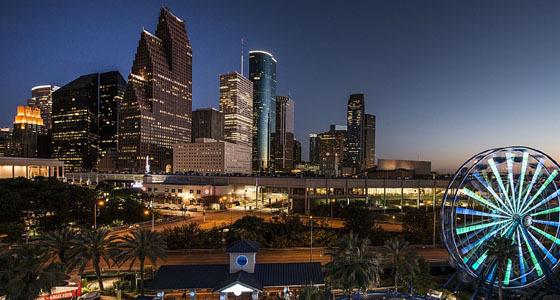 With a rich culture, southern charm, and a thriving restaurant and entertainment scene, Houston is sure to be a welcoming and diverse location. Take a few seconds to enjoy all Houston has to offer in the video below provided by Visit Houston – the Convention and Visitor’s Bureau of Houston. We’ll see you in Houston, ya’ll!